Home » The Ten Stages is intent on restoring dignity and respect to sufferers from emotional distress. » The Ten Stages is intent on restoring dignity and respect to sufferers from emotional distress. 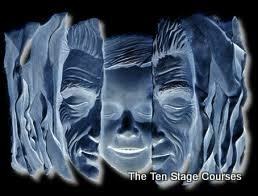 The Ten Stages is intent on restoring dignity and respect to sufferers from emotional distress. Title: The Ten Stages is intent on restoring dignity and respect to sufferers from emotional distress. The Ten Stages is intent on restoring dignity and respect to sufferers from emotional distress. We are adult human beings, with full human rights, except they are currently operating on infantile survival strategies. We need restoration to re-invent ourselves together – we've done what we can, and now need support with the remainder. In other words, it is essential to enlist our own determination to deal with childhood from the inside. This is a course of adult emotional education in a playground of our childhood recovery. There is no danger that we do not wish to rid ourselves of our painful symptoms of ruined relationships and near fatal addictions – we just need support and guidance as to how to do this. Truth, Trust and Consent lie as a bedrock of the stages recovery and are essential ingredients for recovery, since the co-operation and determination of us is crucial to any re-evaluation of our ‘frozen Childhood Emotions’.We bring our emotional survival strategies up to date, and then and only then our symptoms lessen and finally after acknowledgement and redundancy evaporate. Our key is to appreciate and convey that every emotional resource is being used by our child within to prevent our dreaded truth coming out into the daylight of an adult world – the process of denial is heaviest in the best endowed mental survivalists. We are deluding ourselves as to the real true root of the pain and numbness . We have the knowledge that any and all infantile damage is well and truly over – but deep within ourselves the reasoning fails to permeate. We still inhabit a nursery nightmare where abuse or trauma is going to happen ‘next’ and the only remedy they know is not to look – to deny. Reversing this scenario at the Stages, allows the glories of adulthood to blossom. Labels: The Ten Stages is intent on restoring dignity and respect to sufferers from emotional distress.